A crazy week… in many ways…. I thought by now I’d have my first book review posted for the year, but it sort of slipped to the back burner this week. A week ago today, I was attending an mandatory meeting at work and got a call from Son #2. Dear DIL was (unbeknownst to all) having premature labor! 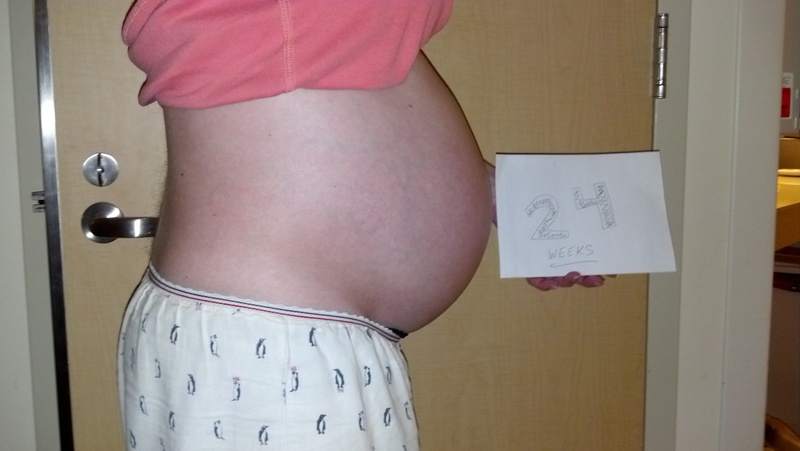 At 24 weeks, we knew this was not a good thing… to say the least. I truly believe it was God’s hand that allowed dear DIL to have an appointment last Friday morning with a high risk OB specialist MD who had come to their community from Seattle. He noted immediately that she was in early labor and that action needed to be taken – now. I can only imagine how frightening this must have been for both my son and DDIL. She was quickly transferred to an ambulance and taken to a hospital in Seattle, where I can guarantee you, they know how to handle premature labor! After many tests and examinations, as well as an IV with MagSulfate, her contractions slowed, her cervix closed, and the bag of water from baby “A” which had been bulging – disappeared back to where it belonged! Oh, the prayers that were sent up for these precious babies!! And the joy that God heard and answered our prayers!! Looks like our little momma will be hangin’ out with the folks in the big-city hospital for another 5 weeks or thereabouts. I know it will be boring, but I also know it’s the best place for her to just rest and gestate! Here is a photo taken early this week… of course AT the hospital. Another development this week was the announcement of our babies names! Now we know we’ll soon be meeting (well, not TOO soon!) Jacob Thomas (“Jake”) and Katelyn Macy. 🙂 🙂 When the parents-to-be asked me for input on baby names, I pretty much refused to give any. All I said was… “don’t pick anything too weird and please, whatever you do, don’t name your little girl Bertha”. My granny was named Bertha, and I loved her dearly, but I can’t say I was too fond of her name. Also, this week we had some perfectly HORRIBLE weather. All the predictions for snow came true, plus more. It was all bad enough to keep us from making our flight down to Palm Springs this week. What a disappointment, but what can you do? Wait for it to melt and reschedule, I guess. That’s what we did today! Here’s a huge shout-out to Allegiant Airlines for refunding our money for the flight we were completely unable to make! We will be going down next week to put the finishing touches on the vacation rental home… and, it looks like we have our first serious renter lined up for several weeks in February. YAHOO! Be watching for an update next week from our sunny place in the California desert!